When we travel, we like to take in all the sights, sounds and tastes of the culture we’re visiting, in an attempt to really live like the locals do. In this sense, where you dine can make the difference between a good vacation and a great vacation. From hearty British fare at London’s The Rib Room and the Hampshire countryside’s Lime Wood, to the German-inspired Easy Tiger Bakery and Beer Garden in Austin, Texas, to Jaleo’s Spanish tapas in Washington, D.C., to Canadian cuisine at Toronto’s very own Lucien, the following selection of dining destinations is sure to make the difference on your next trip. And if nothing else, these restaurants prove that one thing is undeniable on today’s culinary map, no matter where you are based: the best food is fresh, local and organic, and prepared at the hands of chefs who really take pride in their craft. 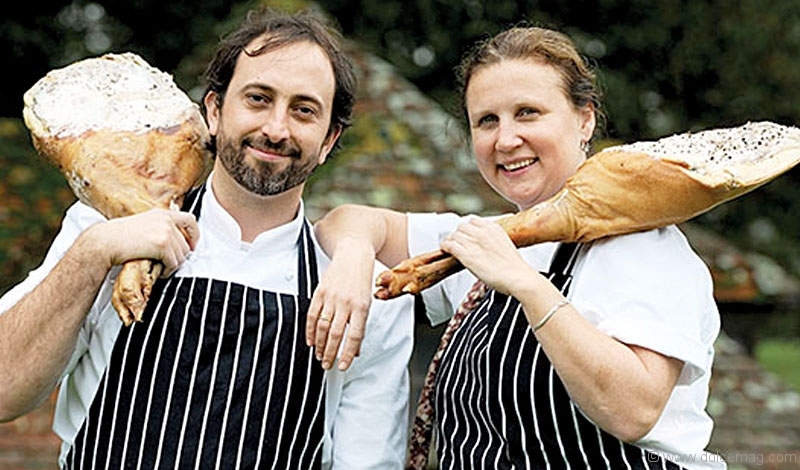 Michelin-starred chef Angela Hartnett and head chef Luke Holder are behind the mouth-watering local, organic and foraged farm-to-table food on the menu at Lime Wood’s Hartnett Holder & Co. The atmosphere at the Hampshire-based boutique country house hotel’s restaurant is just as intimate as its New Forest National Park location. A rustic wood table seats 10 for communal lunches and dinners or privately booked events. In the past, Lucien has been dubbed both Toronto’s best new restaurant and one of the top 10 new restaurants in Canada, thanks to its modern approach to classic dishes. Chef Étienne Lemieux has a proclivity for experimenting with unique flavour combinations and fresh, local produce awakens the palate with seasonally changing menus. For a main, try the Lake Erie whitefish stuffed with smoked pork and follow it with the buckwheat roulade, a dessert of walnut praline, sweet potato ice cream, maple syrup and whipped bacon. Lucien’s intimate atmosphere, created by dimmed lights and dark wooden tables, is also a draw for customers. Open for lunch and dinner, Lucien also has a bar menu and cocktail list that make a late-night visit just as appealing. This Washington, D.C., institution has three locations in the area and a fourth in Las Vegas. Chef José Andrés oversees the popular Spanish fare with his skilful take on traditional tapas dishes, paellas and sangrias, bringing the taste of Spain to the U.S. capital. For the full experience, the chef’s tasting menu allows diners to try a hand-picked selection of Jaleo tapas favourites, paired specially with Spanish wines and cocktails. Intensely flavoured cow’s milk cheese paired with honey, rosemary and pine nut shortbread will make your mouth water, as will the legendary jamón ibérico (cured ham). Meanwhile, the downtown D.C. location’s casual atmosphere and inspiring 2012 décor remodel has made it a finalist for the James Beard Best Restaurant Design award this year. Known for serving the best of British cuisine, this Knightsbridge bar and restaurant features elegant dishes and a complementary atmosphere, with several private dining rooms and art by expressionist painter Feliks Topolski. Head chef Ian Rudge plates some of the most authentic British cuisine with a twist in his seasonal menu. Try a starter of Sussex Mansion cheese dumplings or Orkney scallops, and follow it up with Loomswood duck breast or caper-crusted rack of lamb (as featured on BBC’s MasterChef series) for your main. Standing out among the neighbourhood’s many fine-dining establishments, The Rib Room is, of course, a meat-lover’s dream and, if you try nothing else, don’t miss the classic menu’s roast rib of Casterbridge Aberdeen Angus beef with Yorkshire pudding, a hearty British dish that will satisfy your hunger and your tastebuds.